Nowadays with the development of society and technology, many devices have been used to ensure the security of the public. Such device like the X -ray Security Inspection System is often used. This X -ray Security Inspection System is designed for tour spot, conference hall, airport and many other important places. As it has obtained CE certificate, ISO9001 certificate-German TUV, ISO14001 certificate, Radiation safety certificate from Chinese Government, we can believe in it, and trust that it will create a safe environment bring many convenience for us. 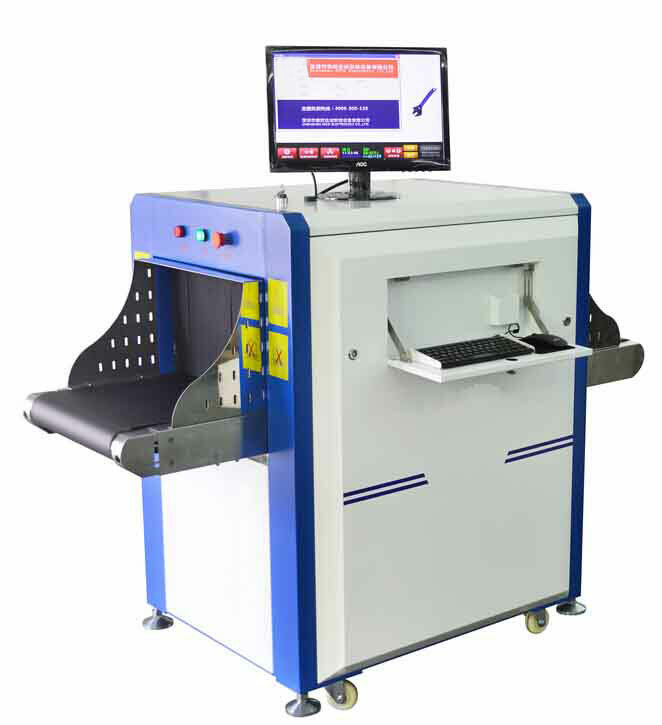 According to the tunnel size(500mm wide and 300mm high) of this device, you can know that this device is used to check baggage which are not too big, like schoolbag, handbag and so on. Through its high convey speed(0.22m/s) and max convey load(150kg), it helps saving time. And the0.101mm metal line wire resolution and 40mm steel penetration give a guarantee to the security of the checking results. And as the tube current and the anode voltage are adjustable, you can adjust it to a certain standard. And another aspect is that the X-RAY Generator’s orientation is vertically upward, which is more convenient for the checking. What’s more the noise that this device gives out has been controlled at a standard lower than 65DB, so it will not disturb other people when it is working. If you want to have a better understanding of the X -ray Security Inspection System and buy one, just come here and you will be satisfied with the results. As a old customer of yours, I think your product is really excellent with both good quality and sound price. Item as described. Thanks again. Thx great communication fast shipping it a pleasure!!!! !